French silver tastevin, early 19th century. Traditional form with applied snake handle. 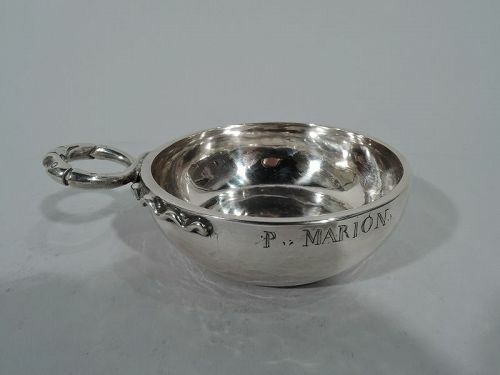 Engraved at rim is name P Marion A great gift for the oenophile. Hallmarked. Very good condition.